little room to navigate the Satus Creek Bridge. US 97 cuts through the shrub-covered steppe in south central Washington, just south of Toppenish. The highway weaves around the rolling foothills that are checkered by sagebrush. Signs on the winding 65 mph highway warn the traveler to slow down to 55 at Satus Creek. The 132-foot bridge over Satus Creek has shoulders less than two-feet wide on each side, leaving little room for error. About four collisions per year take place on or around the bridge. About half of the wrecks are due to motorists bumping into the guardrail. It’s time to tear down the 70-year old wooden artifact and replace it with a bridge that suits today’s drivers. 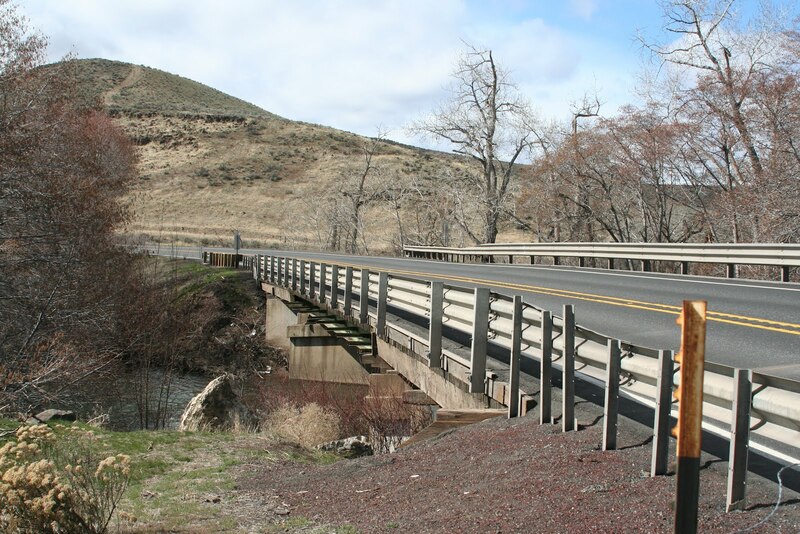 US 97 is worthy of repair because the popular freight corridor is the shortest route between Yakima and Portland. It’s the only north to south route on the Yakama Indian Reservation. US 97 intersects with Interstate 84 in Biggs, Oregon. From there, motorists can go east to Pendleton, or west to The Dalles, Hood River and beyond. Build a detour around the existing bridge. The new bridge will hold heavier loads, will be 48 feet longer, and will have wider lanes with a little more breathing-room on the shoulders. Crews will also repave sections of US 97 half a mile north and a mile and a half south of the bridge, expand lanes and shoulders, and improve sight distance. Like all warmer-weather construction projects, there will be delays. In the spring, motorists will wait up to 15 minutes, and in the summer, drivers may be delayed a bit longer, so pack your patience. A lengthy detour route is available, so consider the extra time and miles compared to the estimated delays on US 97. Southbound motorists can head east on State Route 22 toward Prosser, and then take SR 221 south to the intersection with SR 14 in Paterson. From there, drivers can either travel east to cross the Columbia River on I-82 into Umatilla, Oregon or west to cross the river on US 97 into Biggs, Oregon. Northbound motorists can use the same detour route, in reverse order. Signs will direct drivers through the detour. In the fall, the waiting will be over. The smell of sage, the screech of the red-tailed hawk and the dust kicked up by the wild horses won’t be the only attractions in the valley. The new bridge will be a welcomed addition. Would you be surprised to hear that, in the year 2012, national estimates find that roughly 25 percent of backseat passengers still don’t buckle up? Or that about half the states in the country only require drivers and front seat passengers to use a seatbelt, despite mounds of evidence demonstrating the benefits of these lifesaving devices? It appears too many people still cling to the misperception that riding unbelted in the backseat is somehow safe. In honor of April Fool’s Day, we are launching an effort to confront myths about traffic safety and set the record straight using data and research. The more informed we are, the better equipped we’ll be to make appropriate decisions to protect ourselves, our loved ones, and those with whom we share the road. So just how misguided isthe belief that seatbelts aren’t important for backseat passengers? Studies have shown that buckling up in the back can reduce your risk of death in a crash by 60-70 percent when traveling in a car or light truck. Moreover, because you yourself can become a dangerous projectile if not properly restrained, your belted friends and family sitting in the front are 20 percentmore likely to die in a crash if you fail to use your seatbelt in the back. So please, for your safety and the wellbeing of those you’re traveling with, buckle up wherever you’re sitting, every time you get in a vehicle. Our full announcement of our April Fool’s project, along with details about this first myth, can be found here. We also want to hear from you! Is there a traffic safety myth or misperception you’d like to see confronted, debunked, or confirmed? Leave a comment on this blog, or contact us at info@traffic-payout.org, or via Facebook or Twitter. We’ll investigate and periodically publish our findings. And stay tuned – later this month we’ll take a closer look at a myth regarding fatal crashes involving older drivers. SlicethePie started way back in 2007. It gives opportunities to music enthusiasts, artists and investors to get involved in the music industry. This site pays any individual who listens and reviews music from several aspiring music artists. It uses the opinion of the reviewers to determine whether an aspiring artist may have the chance to get some financing from investors and get launched. As a reviewer, you should give detailed and valuable feedback so you have more chance of earning. You will be helping sort out the best music and giving those undiscovered artists the opportunity to get wider exposure and established a name in the music industry. Be honest and offer a constructive review. Your reviews should be descriptive as possible. Remember, those reviews will be viewed directly by the artist, radio stations and even record labels. You can review different genre of music. Take note, never ever cheat. If you would get caught cheating, SlicethePie would not pay you. Cheating includes plagiarism, reproducing contents, submitting reviews using a proxy server and more. For more detailed information about this, just visit the site. Now, once you built a good reputation as a reviewer on the site, your rank will increase. As a result, you get higher base payment per review you submitted. Earnings may vary greatly. It all depends on how many reviews you can submit in a day. $10 is the minimum amount to cash out. Payments is through your PayPal account. So, be sure that the email you will register on the site is the same email for your PayPal account. You will receive a notification on the 1st week each month informing you of all the commissions you got from the previous month. Once you reached the minimum amount to cash out, you can request to withdraw your earnings. It would usually take 5 business working days to cash out your money. You can get your pay either by Mondays or Thursdays. How do I get paid more? 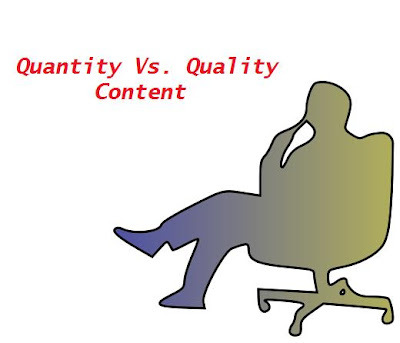 Submit good quality reviews and you will earn more. You can help not only yourself by earning extra income but as well as help the artists to get aware of the things needed to be improved. In addition, you can earn through their referral scheme. You get a bonus of 10% from the scout earnings of each individual you referred to the site. You can refer as many as you want. 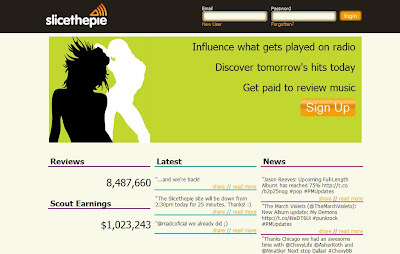 For those aspiring artists, you can join SlicethePie by uploading your tracks on www.soundout.com. You can get some free reviews of your tracks. Anyway, the good thing about SlicethePie is that you can earn here without compromising your usual daily routine. All you need to do is to spend a few minutes of your time, do some quality reviews. However, take note, this is not once again a quick rich scheme. You have to work and do quality work to earn a decent amount of cash. In Part 1 of our “Teens and Distraction” blog, we discussed how gender played a role in some of the distractions observed. In part 2, we’ll focus on other teen distractions found, such as use of electronics, driving with passengers and horseplay. Using electronic devices accounted for nearly one third of all the incidences of distracted driving observed in the study. Other frequent distractions included adjusting vehicle controls, personal grooming, and eating or drinking. Researchers spotted or suspected the teens of using electronic devices in 7% of the video clips where the vehicles registered a g-force event, such as sudden braking or swerving. Teens were twice as likely to text or type on their electronic devices than they were to make handheld calls. Recent reports suggest teens send between 3,000 to 4,000 texts per month, so it's not surprising to see this behavior taking place, but it underscores how critical it is for teens to put down their devices and pay attention to driving. Drivers in the study using electronic devices look away from the road more frequently and longer than drivers engaging in other distracting behaviors. On average, they looked away a full second longer – long enough to travel the length of a basketball court! Driving with passengers was also found to influence driver behavior. Distracting teen activities significantly decreased when parents or other adults were present in the car. In contrast, loud conversation and horseplay were more than twice as likely to occur when multiple teens – instead of just one – were present. These distractions are particularly concerning, as they are associated with the occurrence of crashes, other serious incidents (such as leaving the roadway), and high g-force events. Drivers were six times more likely to have a serious incident when there was loud conversation in the vehicle, and were more than twice as likely to have a high g-force event when there was horseplay. More information from this study, including a press release and fact sheet can be found here. The Washington APWA chapter, made up of nearly 1,400 members, named Paula winner of its 2011 Roy Morse Award for outstanding technical or professional accomplishments in public workers. Her name then was submitted for the national award, along with 63 other nominees from AWPA chapters in the United States and Canada. APWA this week announced its Top Ten Leader national winners. 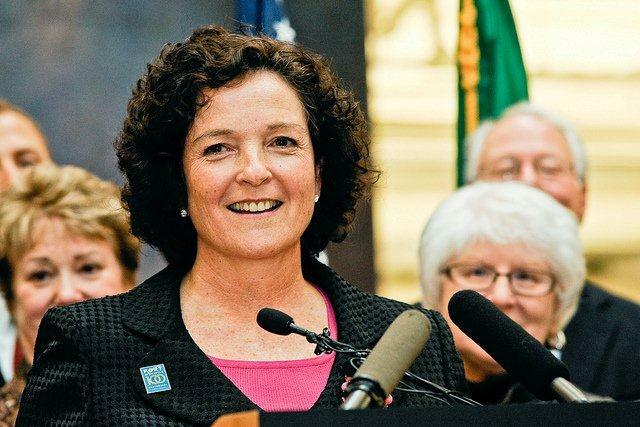 “Congratulations, Paula, on this well-deserved award,” said Jill Marilley, Washington state APWA Chapter president. “Your career excellence and dedication to public works easily made you stand out as a Top Ten Leader and we are fortunate to have you as an example of professionalism, commitment and focused intention to create ongoing success in public works.” Marilley also noted how APWA recognizes that Paula has done a fantastic job of steering WSDOT through major organizational changes and troubling financial times. Paula will first receive her state award recognition May 22 as APWA Washington celebrates Public Works Week. In August, Paula will be recognized with her fellow national Top Ten Leader winners at the APWA national convention in the Los Angeles area. APWA is an international educational and professional association of public agencies, private sector companies, and individuals. Originally chartered in 1937, APWA provides a forum in which public works professionals can exchange ideas, improve professional competency, increase the performance of their agencies and companies, and bring public works-related topics to public attention in local, state and federal arenas. With teen crash rates roughly four times higher than those of adult drivers, traffic crashes remain the leading cause of death for teenagers in America. Today, the Foundation released the results from our new teen driver study which showed that females display more distracted behaviors behind the wheel than males. Using in-car video footage, researchers identified the prevalence and consequences of various distracted driver behaviors and distracting conditions among teens during high g-force maneuvers, such as swerving, hard braking, or rapid acceleration. Interestingly, gender played a role in some of the distractions observed. Females were nearly twice as likely as males to use an electronic device while driving, and overall were nearly 10% more likely to be observed engaging in other distracted behaviors, such as reaching for an object in the vehicle (nearly 50% more likely than males) and eating or drinking (nearly 25% more likely). Males, on the other hand, were roughly twice as likely to turn around in their seats while driving, and were also more likely to communicate with people outside of the vehicle. Stay tuned for Part 2, where we’ll discuss more findings from this study, including how electronics, passengers and other distractions affect teen driver behavior. More information from this study, including a press release and fact sheet, can be found here. When it comes to construction projects, sometimes we’re a little biased: We like ‘em all. Once you shepherd a project through the design process and watch it come to life on the highway, you get a little attached. And we’re not ashamed to say that we’re darn proud of our work. The real icing on the cake for us, though, is hearing positive feedback from drivers after we wrap up a construction project. Take the new flyover ramp from eastbound SR 522 to eastbound US 2, for example. Regular commuters and residents had waited years for a faster, more direct connection to US 2 and points east, and the two year construction period probably seemed to last forever. It’s great! It has made it so much easier in the evening commute. If I have to go east, I’m not stuck at the light anymore and when I need to go west toward home, I’m not stuck behind a huge line of cars turning east and I can usually zip right through. I have driven the new ramp three times since it opened. Much to my surprise it was easy to use and there was no traffic back up as I had feared. The landscaping is lovely. 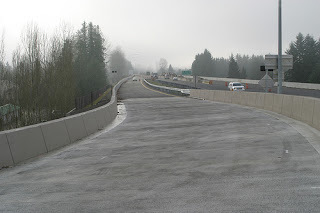 I love the new ramp at SR522 and US2. I use it regularly and really appreciate not having to wait at the light. I can’t wait until all the rest of the work can be completed to open up the new WB lanes on US2 as well – that should help with the backups in the area. 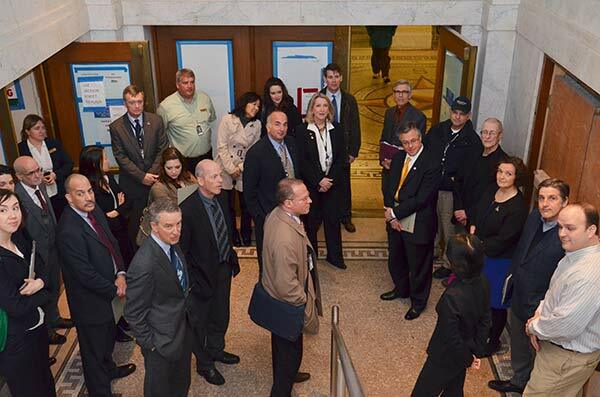 Thanks for everything you do… I recognize WSDOT has very limited resources, and I appreciate the work you do. I think it’s great! It sure does streamline traffic flow, making eastbound access to Highway 2 seamless. 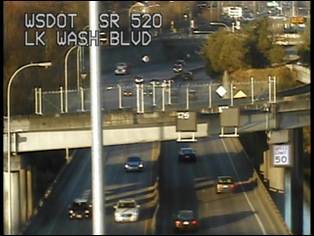 Great job on the new flyover ramp; it has definitely made our commute home quicker and easier. We love it! When we wanted to go through Monroe it was heavenly and when we wanted to go to Fred Meyer it made that transition easier by having fewer cars in the mix! Gotta say, really enjoy this new ramp and extra lane on EB hwy 2 in Monroe. Makes for a much more pleasant commute home from work every day. I like it because I commute regularly through Monroe not needing to stop and this makes it a little easier. Getting so much positive feedback really makes our day. If you’re out on the highways this spring and summer – perhaps headed to the pass for some late-season skiing or over the mountains for some time in the sun – try out the new ramp and see what you think. My friend has just recently joined a mystery shopping site. She has been asking me regarding the legitimacy of mystery shopping. Actually, I already joined a mystery shopping site before but I never got the chance to perform the task assigned to me. Anyway, mystery shopping came to rise due to those market research companies. They commission mystery shoppers to evaluate the quality of services and products of some establishments. 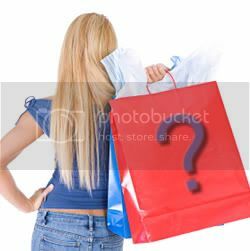 These mystery shoppers would then pose as a regular shopper to do some specific tasks assigned to them. Most of these tasks include purchasing a product, inquiring about the prices of products, evaluating customer's service and more. After that, you provide a detailed report to the market research company who hired you. Usually, you only have to fill in some online questionnaires and key in your feedback. Based from my experience, mystery shoppers are asked to visit places like fast food chains, computer shops, jewelry shops, testing centers, restaurants, retail stores and several others. Now, if you enjoy shopping, you think this might be the right job for you to earn extra income. But wait, I heard several feedback from other people that there are several mystery shopping sites that do not readily pay their freelance employees. They give reasons like your evaluation is not detailed or you fail to follow the appropriate requirements and so on... So are they scammers? I cannot really attest their authenticity as there are tons of sites that hire mystery shoppers these days. You have to do a thorough research first before you accept the job. Sometimes, you need to shell out your cash as part of your task and later on it will be refunded. The problem here is what if your report is not approved, then you lost your cash which could have been enough to buy you a ticket to a movie. Anyway, if you got any experience to share regarding mystery shopping, feel free to share it here. Your opinion is of high value to everyone. Travelers looking to purchase commercial bus tickets for interstate travel now have a new tool at their disposal when selecting a carrier, thanks to the Federal Motor Carrier Safety Administration’s (FMCSA) free SaferBus iPhone app. Launched today, the app allows bus customers to access FMCSA’s safety data in a user-friendly way. After entering the name of a given bus company, app users will get information about its safety performance over the previous two years. Icons representing unsafe driving, fatigued driving, driver fitness, controlled substances/alcohol, and vehicle maintenance pop up, along with alerts if a carrier has shown deficiencies in these areas. In the worst cases, the icons will be replaced by bold red text indicating that a given bus company is forbidden to operate. Customers can also use the app to report safety complaints directly to FMCSA. Marketed under the banner “Look Before You Book,” this new app provides a quick, practical way to factor in a company’s safety record when selecting among carriers. It also serves as an important reminder that price and convenience are not the only two things customers should look for when purchasing a bus ticket. As always, safety should be the top priority. Seattle’s King Street Station, with its grand interior and ornate decorative features, opened in May 1906 with the focus on passengers and their travel experience, rather than merely loading and unloading cargo. Fast forward more than a hundred years to a time when pulling into Seattle’s King Street Station will once again generate excitement and anticipation for a new generation of rail travelers. Federal, state and local officials converged on the station this week to commemorate the start of construction on the largest phase of an ongoing historical restoration of the 100+ year-old building. WSDOT is investing $16.7 million in federal high-speed rail funds to strengthen King Street Station and its clock tower to better withstand earthquakes. The project also restores the station’s main hall as originally built in 1906 with white marble walls, decorative lighting and other features removed during “modernization” of the station more than 50 years ago. The restoration, managed by the city of Seattle, is an ongoing partnership between WSDOT, FRA, Amtrak, Federal Transit Administration, 4Culture services agency and the city. Since 2008, nearly $30 million in federal, state and local funding has been invested to improve the station and restore its unique historic character. The King Street Station Seismic Upgrade project is one of five federally-funded capital rail projects under construction in 2012. Since 2009, Washington has received nearly $800 million in federal high-speed rail funds to increase the frequency and reliability of Amtrak Cascades passenger rail service between Portland and Vancouver, B.C. This investment supports 19 projects along the 300-mile corridor creating jobs in communities up and down Washington’s I-5 corridor. When the projects are complete in 2017, travelers will see more frequent service between Seattle and Portland, reduced trip times and fewer delays. Having this new station….requires putting up with construction equipment, noise and a little dust. Because the popular station will be in full operation during the renovations, WSDOT and Amtrak are working closely with the city to minimize disruptions to travelers. Every week, vandals armed with cans of spray-paint make their mark on walls, columns, and signs along I-5. And every week our maintenance crew goes out to paint over the mess. Graffiti removal underneath I-5 at Columbia Way exit ramp. You can see the vandalism pretty consistently along I-5 through Seattle - on the walls along the roadway, on the overpasses, and even on the freeway signs. Usually it slows down when the weather turns wet in the fall, but with the mild winter we’ve had, the frequency of graffiti has increased. Our crews have seen a lot more graffiti this fall/winter, and in locations that are more challenging to clean up. 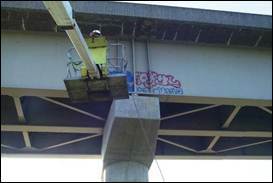 Vandals are getting creative with their tactics, hitting hard-to-reach areas that require additional resources like high-lift bucket trucks and lane closures for our crews to get in there to get it cleaned up. The Mercer Street tunnel in Seattle is a prime example. The tunnel is lined with tile and is one of the favorite “hot spots” for vandals. Access to the Mercer Street tunnel to clean up graffiti is very challenging, as we have to close lanes overnight to get in there. And because the graffiti is so visible, drivers who use that exit daily get frustrated as to why it takes so long to get it cleaned it up. Even electronic message signs are being targeted. The speed limit signs on SR 520 near Lake Washington Boulevard have been vandalized twice, requiring replacement of the signs. Our crews had to work overnight, using high-lift bucket trucks and closing lanes to get the work done. This is not only very time-consuming and costly, but is also a frustration to drivers on the roadway that are delayed due to the work required to clean up after vandals. We recently installed a chain link fence along the overpass to keep vandals from getting to the signs. Graffiti removal for just our Seattle office (which covers the Canadian border to the King/Pierce county line) costs between $120,000 and $145,000 annually. We’d rather spend that money on patching potholes and fixing roads. We could put another full-time maintenance employee and truck on the road for what it costs for graffiti removal. southbound I-405 to westbound I-90. Our crews are working hard out there trying to remove graffiti and prevent more of it. We use fencing in target areas to block access, install additional lighting where possible, and even use motion sensitive sprinklers. It is a never ending battle of who will get there first (or last) and with limited resources, the vandals are ahead in winning this war. Report graffiti in the greater Seattle area. 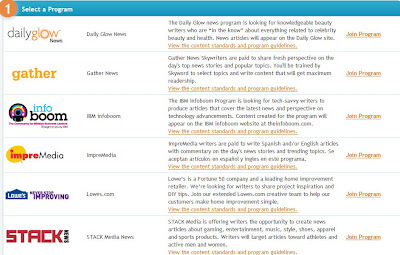 Skyword is a site that gives opportunities to online writers to work for the leading brands in the market. Hired Skyword writers are trained to write using Skyword platform and some SEO techniques. Skyword has a user friendly tool that will guide writers with no SEO experience. There are also step-by-step instructions that you can browse through for you to learn more about online writing. Once you learned all these techniques, you now have greater opportunities to publish your content to various major brands and media sites. Aside earning extra cash from Skyword, any hired freelance writer can start building their portfolio and get exposure to all those brands when they start writing. Now, after learning the ropes within Skyword's platform, you are ready to join different programs. You need to complete three steps for the application process. Your application will be reviewed thoroughly by a program manager. You will get a notification of your application whether you are accepted or not to the program. Don't worry, there are several programs to choose from. The photo bellow shows some of the available programs that a Skywriter may join in. Now, all you need to do is to click Join Program on the right side if you are interested to write for a certain program. You fill out some information. You will be asked about your writing qualifications, a writing sample and other requirements. Wait for your approval and once approved, you can now start writing. Actually, joining Skyword is quite easy however, it is joining those programs which are a bit challenging. You can either be rejected or approved of your application. Who can apply for Skyword.com? Upon signing up on Skyword, you fill out your country of residence on their online form. You can also choose the languages you can write in. So, I think any individual can apply even outside from the US as long as you got a passion for writing. 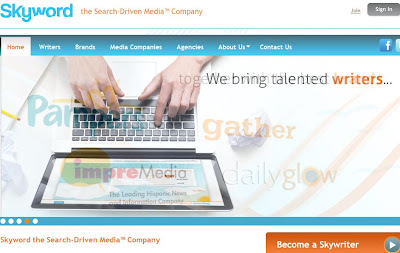 Your income will depend on the the companies' or brands you are writing for. Some programs offer a flat rate which would range from US$5 to as high as US$40 per article. Still, there are some programs that pay through per page view. Payment is through PayPal account on a bimonthly basis. I like the fact that the people behind Skyword are quite accommodating and they always update their writers especially newbies like me. I receive email messages from them regarding some announcements and other important stuffs. Every freelance writer would always want to work for a company who is readily available for their employees and I think Skyword is able to provide me with that. So far, I have read positive feedback from people about this site. Soon, I will start writing for them and hopefully my working experience with them would be great. Anyway, if you are interested to sign up the site, just check out Skyword.com. Now, if you got any ideas, violent reactions or experiences to share regarding Skyword.com, feel free to share it on the comment box. Your comments are highly appreciated. From its homepage, one can make money by reviewing and promoting products and write your honest review on your blog. If you are interested to apply as a reviewer, you can easily create a free account on this site. They will check your blog whether it meets their required standard which is meeting the minimum number of subscribers, content and traffic. You only have to wait for a few hours to know whether your blog is approved or rejected. Don't worry if your blog is rejected, you can always reapply after a few months. ReviewMe is quite different compared to how SponsoredReviews works. 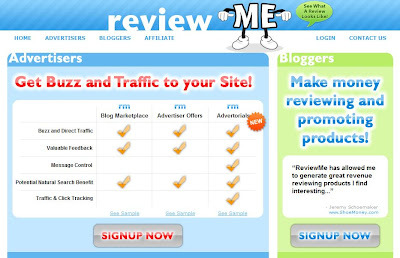 Instead of the blogger finding the advertisers to review, in ReviewMe.com, its the other way around. 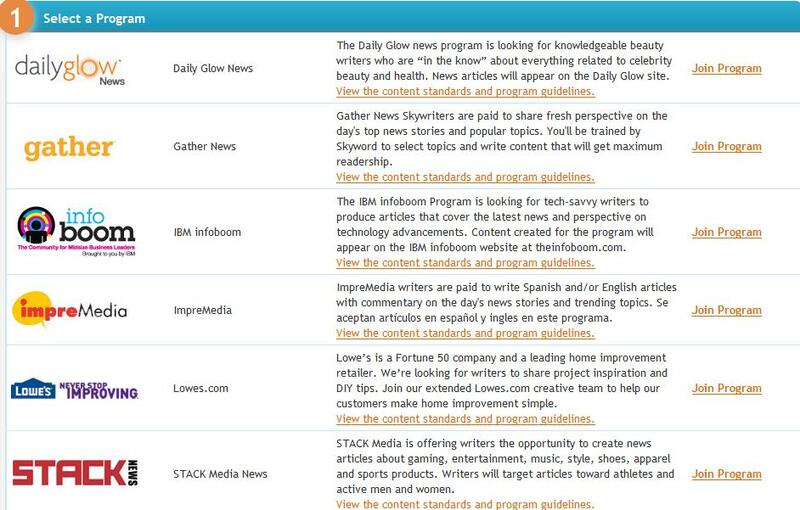 The advertisers will choose blogs to make a review on their sites or products. In short, a blogger should wait for review offers from the advertisers. Once you get the offer, you can either accept the offer or not. For more information on how to make reviews on this site, you can check out their review guidelines. A blogger can start earning when clients buy reviews from you. 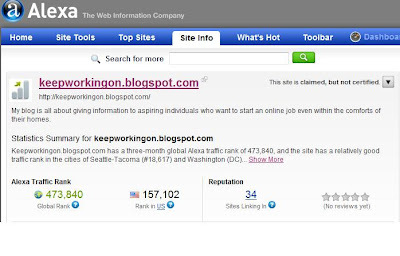 You have to have a good blog site contents and higher ratings from Alexa, Google and other big search engines. Now, if you are writing a different language aside from English, you can still earn from ReviewMe.com. There are advertisers who expect to get a review written in German, Russian language and more. One can earn anywhere from US$20 up to US$200 for each completed review. It all depends on the amount offered by the advertisers. The more offers you get, the more chances of getting extra income. Payments can be through PayPal, check or through Prepaid MasterCard. There is no minimum amount to cash out from PayPal. However, you need to reach US$25 for you to cash out your earnings through check and Prepaid MasterCard. Payments are made monthly. I prefer SponsoredReviews compared to ReviewMe.com. I have been a member of this site for barely a month now. So far, I have not received any offer yet from any advertiser. I guess, competition is just so stiff among reviewers. There are several established bloggers who already made a good name on this site. Of course, they will be prioritized by advertisers. If you are still interested to join the site, you can check it out for yourself, ReviewMe.com. Feel free to share your experiences or ideas regarding ReviewMe.com. This is for the benefit of everyone, the readers and other fellow bloggers who want to earn extra income online. This post is in connection to the recent post I made last March 8 regarding my blogging problem. I investigated further and I found out that Google is redirecting my personal blog to country code top level domain (ccTLD). Instead of the common http://[blogname].blogspot.com, a certain viewer from a specific country can view my blog according to his/her current country location. That's what happened to my blog. 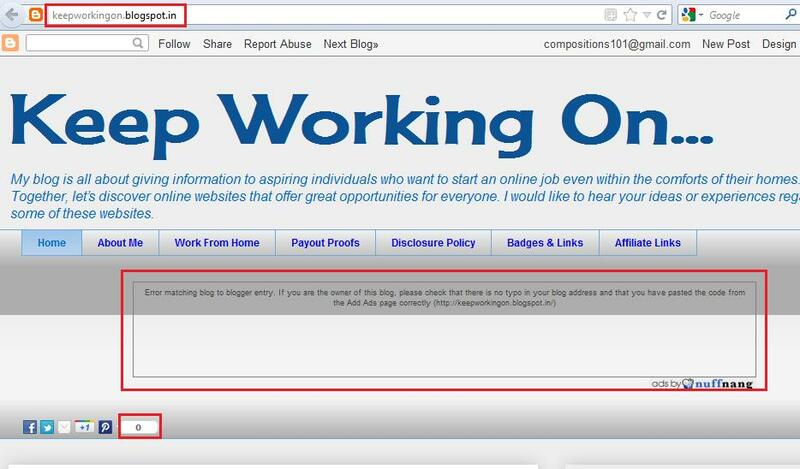 My blog's url is traffic-payout.blogspot.com. 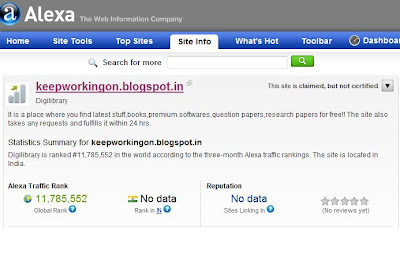 but it is redirected to traffic-payout.blogspot.in when someone views it from India. "Migrating to localized domains will allow us to continue promoting free expression and responsible publishing while providing greater flexibility in complying with valid removal requests pursuant to local law. By utilizing ccTLDs, content removals can be managed on a per country basis, which will limit their impact to the smallest number of readers. Content removed due to a specific country’s law will only be removed from the relevant ccTLD. " explains Google. Google does not specifically mention the countries that may apply to this situation but definitely India is one of these countries included. They are planning to apply this approach in other countries, too. Google is doing this so they can have easy access to censor offensive contents hosted on Blogger account based on specific country location. Right now, if you try to access any of the Blogger hosted blogs coming from India, Google readily redirect the viewer to blogspot.in address. A: "After this change, crawlers will find Blogspot content on many different domains. Hosting duplicate content on different domains can affect search results, but we are making every effort to minimize any negative consequences of hosting Blogspot content on multiple domains. The majority of content hosted on different domains will be unaffected by content removals, and therefore identical. For all such content, we will specify the blogspot.com version as the canonical version using rel=canonical. This will let crawlers know that although the URLs are different, the content is the same. When a post or blog in a country is affected by a content removal, the canonical URL will be set to that country’s ccTLD instead of the .com version. This will ensure that we aren’t marking different content with the same canonical tag". Take note, this is only applicable for free blogs hosted in Blogger. 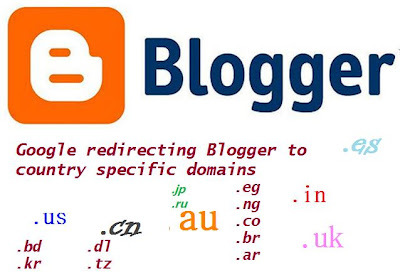 It does not affect at all Blogger blogs that utilize a custom domain. Now, I am contemplating on using a custom domain for my blog. If you ride a bus, a carpool or a vanpool across Lake Washington, you probably know how the express lanes can take the edge off a tough commute. But if they’re reversible express lanes, just make sure your commuting the express direction. Take the I-90 Express Lanes in the center roadway between Seattle and Bellevue for example. If you live on the Eastside of King County and work a regular 9-5 in Seattle, you’re golden. If you go the other way, well, not so much. We’re phasing out go-with-the-flow reversible express lanes on I-90 and replacing them with full-time HOV lanes in both directions for around-the-clock express trips for carpools and buses in either direction, save for the unexpected crash or clog. Later this month, a new eastbound HOV lane will open from 80th Avenue Southeast to Bellevue Way, and the second phase of the I-90 Two-Way Transit and HOV Operations project will be complete. In 1990, a year after WSDOT completed westbound I-90’s Homer Hadley Bridge and the new express lanes, traffic levels eastbound and westbound differed greatly depending on the time of day. Typically traffic was nearly 50 percent heavier headed to Seattle in the morning and back to the Eastside in the evening. Today there’s more traffic, rush hours last about an hour longer and the difference between the number of vehicles heading east and west is relatively minimal. On average about 135,000 vehicles cross the bridge each day in either direction of the mainline and about 15,000 in the express lanes. When the second phase of the project finishes later this month, lawmakers and transportation officials, including state Transportation Secretary Paula Hammond, will cut a ribbon to reopen 80th Avenue Southeast freeway ramp on Mercer Island. After a four-day ramp closure for realignment, the ramp’s big reveal will be direct-access to a new HOV lane on eastbound I-90 mainline. Carpools and buses will have access into the center express lanes before the East Channel Bridge for continued, smooth HOV-only traffic to Bellevue Way and I-405. Afterward, commuters will enjoy an I-90 generally clear of barriers and hardhats as our engineers work in the office on final design for the project’s third and final stage, which will start construction next year on new HOV lanes in both directions between 80th Avenue Southeast and Seattle. As soon as the final stage is finished and the I-90 project is complete, Sound Transit will take the reins of the center express lanes and close them to traffic forever to begin building East Link light rail. By 2023 light rail will be an added travel option between Seattle and the Eastside and I-90 will begin to carry more people more efficiently and with less greenhouse gas emissions than ever before. According to its final environmental impact statement, East Link will be equipped to carry as many as 800 people in each four-car train. It would give the center roadway a peak-hour capacity of up to 24,000 people per hour, about the same as a busy freeway with seven to 10 lanes of traffic. And it more than doubles I-90’s existing capacity while preserving existing lane space for freight trucks, passenger vehicles, carpools and buses. I got so busy these past few days that I was not able to update this blog. Anyway, a few days back, I posted here regarding the problems I encountered with my blog. I still need to work out those typical blogging problems. I thought those were just the problems that I would encounter. Yesterday, I checked my blog stats at Alexa.com. At first, nothing was out of ordinary except the number of sites linked into my blog increased. 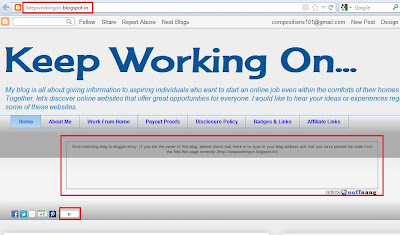 However, I was shocked when I saw this site, traffic-payout.blogspot.in. Now, this really freaks me out. When I opened the site, it led me to my own blog site. Notice that the domain I used is traffic-payout.blogspot.com. There were some differences that I noticed on the other blog site. Look at the pics below and see the difference. The domain name is different. The ad which is running on top of my blog is not shown on the other site. 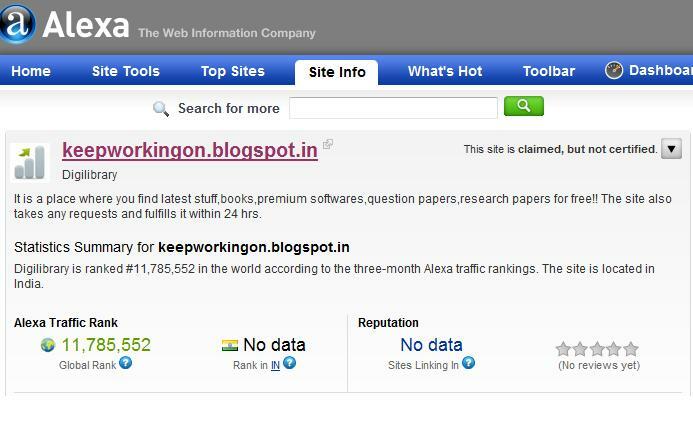 Alexa rank is way different from my blog. I got a PR 1 but the the copycat blog got zero. I searched the internet on how to rectify this problem but to no avail. Did this ever happen to you? Maybe someone out there can help me with this. I may have made a mistake along the way. Any advice?